Established by ROLE Foundation (Rivers, Oceans, Land and Ecology), a non-profit humanitarian organisation whose aim is to improve the education, well-being and self-reliance of people living in underprivileged circumstances, whilst ensuring environmental resilience sustainability. The ROLE Foundation was established in 2007 by Mike O’Leary, founder/CEO, as an environmental learning and conservation project. In recognition that a large number of families outside of Bali’s apparently prosperous, tourism-driven economy live in poverty, the BaliWISE component was initiated in 2011, and the Foundation’s activities were expanded to include support to poor, marginalized, and at-risk girls and young women through training and skills development. 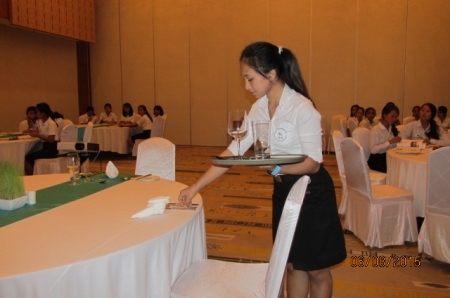 Given the importance of the tourism sector in Bali, the training focus is on hospitality. vocational training courses are on-going, and over 400 girls and young women have been recruited and received training. A series of agreements have been made with ‘training partner’ hotels, and graduates have gained employment at hotels and have started their own small restaurants. Monitoring of students following graduation has shown that on average 83 % of BaliWISE graduates are employed in the hospitality sector one year following graduation. BaliWISE are recognized by hospitality providers in Bali. PATA Foundation provides support to 8 students on their training programme and living expenses.